At the suggestion of the Anonymous commentator on my last blog post, I downloaded Adyashanti's book "Falling Into Grace" and have been reading it; I'm almost halfway through it. Adyashanti is a good, clear writer and I found myself drawn into considering his ideas about the nature of suffering and how to alleviate it. One of the Tibetan mind training slogans is - "Regard all dharmas as dreams." This essentially translates into regarding life as a dream. Adyashanti writes about this as well. Basically he is saying that because we attach so strongly to our thoughts, seeing them as solidly real and rather blindly following them, we misguide ourselves and often we suffer. He asserts that thoughts are neither real nor the truth about our essential selves. By holding firm to our thoughts and fueling those thoughts with feelings, we go through life ignoring that we are much more than our thoughts. How can you sense that you are more than your thinking mind? You sense it by sitting with your present moment experience and studying what happens when there are gaps in your thinking. When I did this, I quickly discovered that without any words in my mind, while sitting still and looking and listening, I was still fully alive, actually more alive than when I was struggling with my thoughts. I realized that this is the essence of mindfulness. This silent, spacious place you find yourself in without thoughts is receptive yet energized and keenly, delicately aware. It's a beautiful, peaceful, kind hearted place and though thoughts return to take us away from it, it is always present. It doesn't ebb and flow, it just is, very present, very steady, very available. For the most part I am caught in the common, human delusion that we are what we think, but even I know I can just exist in a peaceful way when I stop thinking and doing and rest in being whoever or whatever I am. It's so simple: just stop. Look around. Breath. This is Awareness with a capital A. This is much larger than the small, tight circle of the thinking mind. If we have the ability to see at all it's due to this spacious awareness and not due to thinking thoughts. Thoughts are contained inside Awareness, and not the other way around. It comes down to asking yourself who or what you are. I've been asking myself this question. When I ask myself what is really real my attention immediately turns to what is right in front of me, the space I'm in, what I can see and hear and feel and smell. When I stop to think if my thoughts are real, I hesitate. My thoughts are all over the place and because of this lack of steadiness they feel unreal. But somehow, through all their shifting movements, I feel tied to them. On a closer look, perhaps even chained to them like an active addict. Adyashanti says they are not real and therefore not the truth about us. I'm hoping that he's right; I know I suffer because of the things I think about and if they are not real then I can keep returning my focus to the larger Awareness and learn to re-train myself to experience life on a more elemental level. We are, after all, animals and the animals we interact with can teach us a lot about living in the moment, fully aware. I'm in love with my cats, even when they are hunting mice in the house. If a cat can be wondrous to me, how much more myself and other humans? So are thoughts bad? They can be, especially when we continually over emphasize them and reinforce them with repetition. Then they mislead us, cause us to stay stuck in the dream of life. But once we realize that we're imbalanced, we can learn to step back and see the broader picture. In stepping back, we detach and take away some of the emphasis on the thoughts that continue to arise, while returning some attention to the space and silence in the present moment. What we consider our natural state is most likely an unnatural state and our natural state is one we tend to ignore. We're too busy in what Adyashanti calls an egoic trance. Too much of the time we have blinders on, like the kind you see on city horses to keep them focused ahead and not distracted, but our blinders keep us focused on distraction after distraction and not on what is really going on in and around us. It's strange to me that I could listen to over 7 hours of Adyashanti talking on the audiobook called "Spontaneous Awakening" and not get a feel for his message, but after reading 90 pages of his book "Falling Into Grace", where his emphasis is on suffering and alleviating suffering, his message is starting to get to me and with no psychotic overtones. Little by little I'm going to apply his ideas to my approach towards myself and my life just to see where it takes me. First I'm going to finish reading the book and then I'm going to read it again and take notes. And I'll listen again to Adyashanti's audiobook to see if I can hear him more truly. His book is providing a foundation for me to do that. If I can hear, I can learn. As for Nirmala, I will learn from him too. Just to let you know, I will be away visiting my parents in Florida for a week and won't be online very much, but I'm taking my Kindle with me and am excited about opening to what could almost be seen as an adventure. I think its so exciting that a man from Japan is reading your blog! He sounds so nice and polite. I've got to say, some of the schizophrenics I've gotten to know are so intelligent and tenacious. It makes me a little proud, even though mental illness isn't a big esteem booster, lets just say I'm really happy with the strong minds of my peers - people who journey with the condition of schizophrenia. I'm glad you are such a devoted seeker. You have no idea the number of "normal" people who feel lost and listless, they don't have direction. They can't find something to make them fascinated. I can sense some of your fascination with the inner workings of your mind. Of the condition of awareness. Its a rather noble path you are taking yourself on, and I'm certain you will benefit in the long run. I may download the current book you are reading for my Nook, if you are getting something out I it I could too. I hold onto my thoughts and worry too much, it is sometimes torture, definitely its mild suffering. I would much rather be a little more serene and go with the flow of life....its funny how medical delusions of schizophrenia and Buddhist delusions are so thought by western society to be different things and yet they both can foul up the reality of the individual and cause suffering. In some ways I see your quest as very self healing, having nothing to do with Western medical orientation, which is unfortunately primarily to medicate. Don't you think that people are capable of working with their illness and changing perspective from within rather than just biochemically? Taking pills is the easy part. Healing your mind and altering your perspective is the hard part. Thank you for the gift of your blog. It is so inspiring. Listening in on someone else's healing journey gives me hope for myself. Opens the world to new possibilities. I love the red design most of all, do keep it as your blog design. Love the new intro at the top too. You so inspire me. 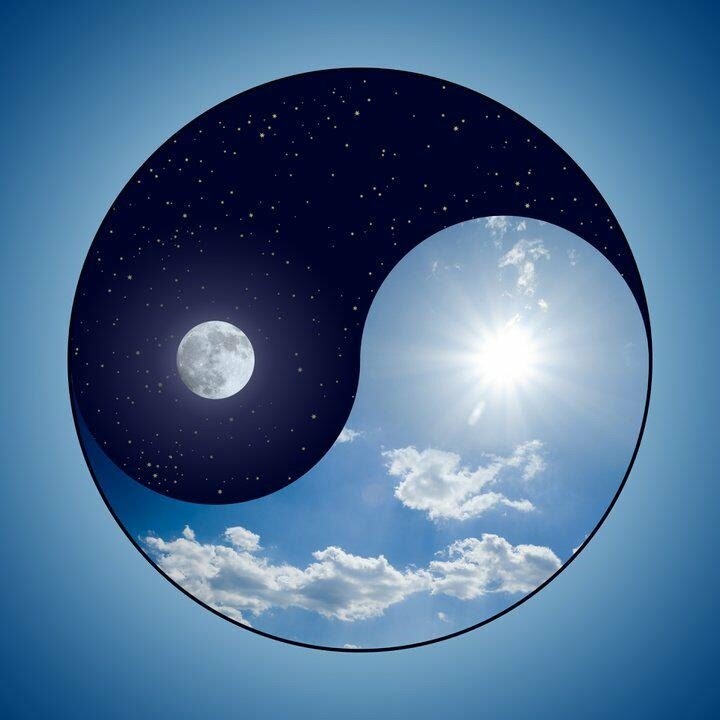 The Yin and Yang image is wonderful. Will write to you about guest blogging. Would love to have you guest blog on my blog too. Congratulations on your recovery. My son is working toward this very same goal right now. As a parent, it is so difficult to watch. I really just wish SZ had decided to take me instead. I started my own blog as an outlet for my thoughts and to help with healing. I hope when you have a moment you will check it out. I am delighted to have met you! I also just downloaded Falling into Grace on my Kindle yesterday and I am about one third through! So far, i am greatly puzzled by it, however some truths already start to hit me. Background: an old survivor of child abuse... Not able yet to integrate this part of my life, trying, sometimes desperately to find some solutions, which, of course, is the recipe for NOT finding them... Looking forward to further reading this book and also your comments, which i find invaluable.